Dark ruby-red in color, has aromas of cherry, black currant, blueberry and violets. The bouquet is an elegant blend of vanilla, chocolate, truffles, cedar and thyme. Showing ripe and velvety soft tannins with a plump structure supported by good acidity, the 1999 Cabernet Sauvignon will complement grilled or roasted red meats or red-sauced pasta dishes and will develop additional complexity with up to ten years of bottle aging. 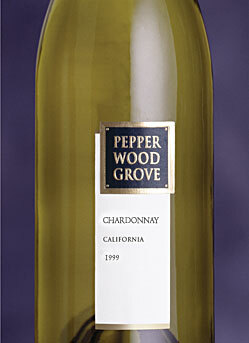 A rich Californian Chardonnay with full aromas of ripe apples and citrus fruits, balanced with exotic flavours and good acidity. Great to enjoy with chicken and fish in rich buttery sauces, or with cheesy potato bake. Vin Gris is produced by the traditional French rosé method using Pinot Noir grapes. The grapes were destemmed, crushed, cold soaked for 72 hours on the skins, pressed and the juice fermented as a white wine. The resulting crisp dry wine is pink in color with wonderful strawberry and watermelon fruit aromas. It is especially delicious in the warm summer months served as an apertif or with a light meal. This beautiful, pale straw Pinot Gris displays aromas of honey, peach, melon, pear and apple, accented with tropical floral blossom. With a bright entry of pear, apple, peach and grapefruit, this medium bodied wine maintains an excellent balance of fruit and acidity through its soft and lingering finish. Summer 2002 Served with fruit and cheese dessert course after Caesar Salad. Elegant peach, apricot and honeysuckle aromas replay on the palate. The wine is crisp and refreshing with just enough sweetness to balance the lingering finish. Try serving it with fresh shucked oysters or rosemary-grilled chicken. Garlic Roast Beef Tenderloin, Roast Pork Tenderloin, grilled chicken breast, grill-smoked salmon, chutneys, cheeses. Also served Canyon Road Merlot. A soft, balanced, easy drinking style of wine so typical of this varietal. Fruit for this wine is sourced from various sites throughout Northern California. A short maturation in American oak has contributed both oak complexity and softening of the palate. The color is rich red. Classic Merlot characters of plum, spice and red cherry dominate the nose with sweet vanillin oak adding a further dimension. 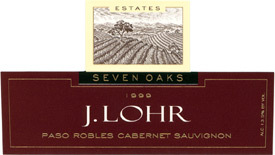 The palate is soft and round with fine-grained tannins adding structure. November 18, 2001 Pre-Concert Supper Garlic Roast Beef Tenderloin, Roast Pork Tenderloin, grilled chicken breast, grill-smoked salmon, chutneys, cheeses. Also served Columbia Creast Johannisberg Reisling.